November 07, 2018 at 7:47 am. Syracuse and Louisville enter Friday’s game at the Carrier Dome at polar opposites. Petrino has tried to keep a positive spin on his team, including after last week’s 77-16 loss at Clemson. Louisville lost its sixth straight game, its longest losing streak since dropping 10 in a row in the 1997 and 1998 seasons. The Cardinals’ wins have come against Indiana State and Western Kentucky. They have lost to Alabama, Virginia, Florida State, Georgia Tech, Boston College, Wake Forest and Clemson. Louisville’s defense ranks last in the ACC and 115th nationally allowing 462.8 yards per game. The Cardinals have allowed at least 38 points in each of their last four games, including the 77 to Clemson. Of particular concern is Dungey being the Orange’s top rusher with junior Moe Neal the top running back gaining only 61.9 yards a game. “I think that the young men, the senior class especially, are really taking care of their bodies,” Babers said during Monday’s press conference. “I see them at practice and they’re different. With matchups ahead against No. 4 Notre Dame and No. 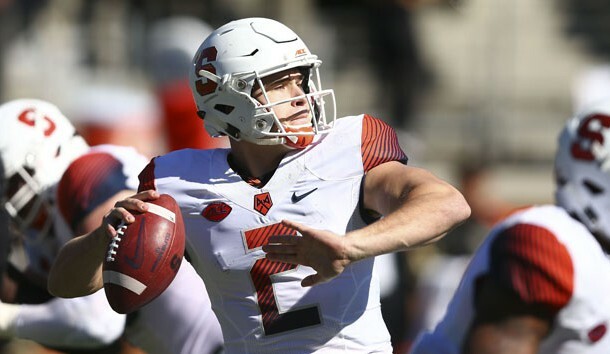 22 Boston College, Syracuse must guard against looking past Louisville. If the Orange run the table, they would be 10-2 and in position or a New Year’s Six bowl. On Sunday, Babers presented his team stats from Syracuse’s last two games against Louisville. 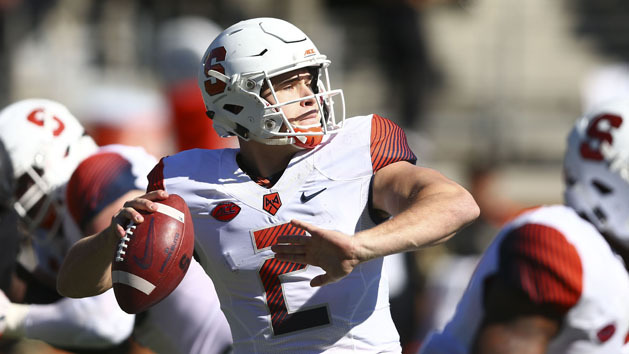 Syracuse lost those two games by a combined score of 118-38, allowing 1,572 yards in the two losses.